Akshar Holidays is enlisted among the unparalleled Tour & Travel Agents in Rajkot, Gujarat, holding expertise in Passport & Visa Services. Our expert Passport & Visa Consultants are well-acquainted with all the Passport & Visa formalities and can guide you through getting a passport or visa easily. Moreover, our visa assistance services maximize your chances of getting visa. 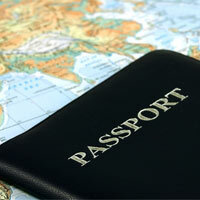 At Akshar Holidays, personalized attention is given on the current procedures of availing a visa or passport. The hassles and unnecessary problems of immigration paperwork are handled in the most professional and meticulous way by our experts.